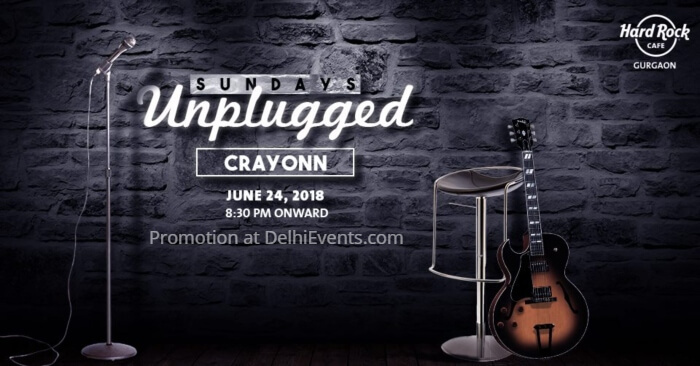 CRAYONN is a Pop & Blues band based out of Delhi, India. The band earlier known for it's versatile unusual covers from 1970’s to 2017, is now a popular name in the Delhi Circuit with increasing views and popularity for their hit single – ‘Same Old Road’. Inspired from all the classic legends including Elvis Presley, John Lennon, Billy Joel, Bob Dylan, Eric Clapton, Neil Diamond, Elton John, Lionel Richie, and humming along to the tunes of the latest music sensations like Passenger, Coldplay, Ed Sheeran, John Mayer, James Blunt and more, ‘Crayonn’ is emerging as one of the leading entertainment names in the industry.